Maison Louis Jadot’s principles of vinification balance tradition and technology, and focus on the purest expression of the ‘terroir,’ or qualities unique to the microclimate, through the medium of the vine. Moulin-à-Vent, arguably the most famous of the Beaujolais crus, lies just south of Chénas and north of Fleurie; the appellation covers 1,630 acres of vineyards. Moulin-à-Vent’s wines were once bottled as Romanèche-Thorins, the commune in which roughly half the cru’s vineyards lie. The name reflects the area’s importance in the cultivation of wheat during the Roman Empire, from the Latin romana esca, a wheat storehouse. In 1936, the appellation was changed to Moulin-à-Vent for the last remaining windmill in the Beaujolais, built in the mid-17th century. Now a registered historic monument, the ruins of its tower rise from the vineyards to overlook the appellation from the summit of one of its highest hillsides. In November 1996, Maison Louis Jadot acquired the Château des Jacques, a spectacular estate in Moulin-à-Vent. Of the principal estate’s 67 acres of vineyards, 48.6 are distinguished among five parcels planted to Gamay. Château des Jacques Moulin-à-Vent is a solidly structured, full-bodied, deep garnet wine which shows intense aromas of iris, roses, spices and ripe red fruit. The impressions on the palate are fleshy, velvety and tender, finishing with a firm acidic crispness and long, pronounced final. 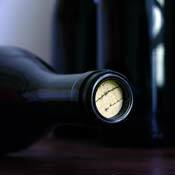 The wine approaches maturity in most vintages after six to ten years.